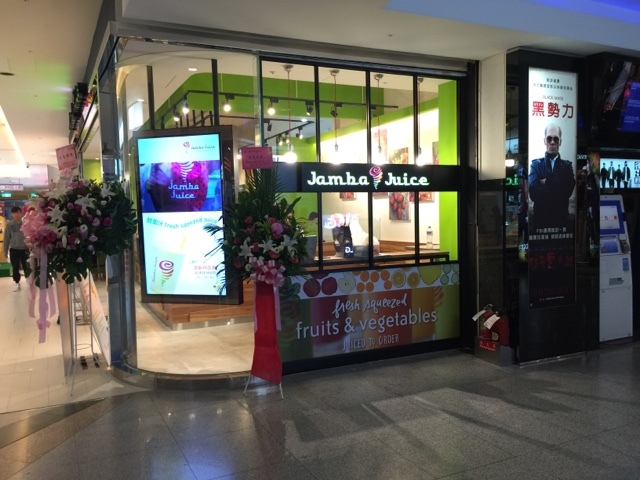 Jamba Juice has finally arrived to Taipei! 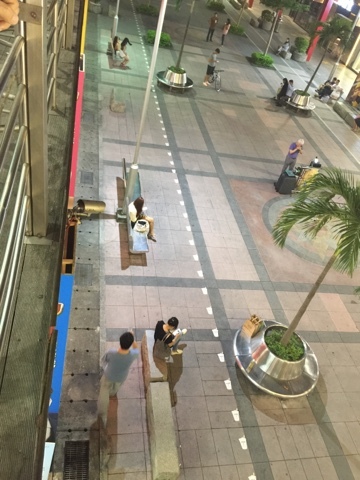 They are going to try to make some noise by creating a line a la Krispy Kreme- first 200 people in line will get free Jamba for 1 month (though number 1 will get it for 1 year, someone was already waiting for that). 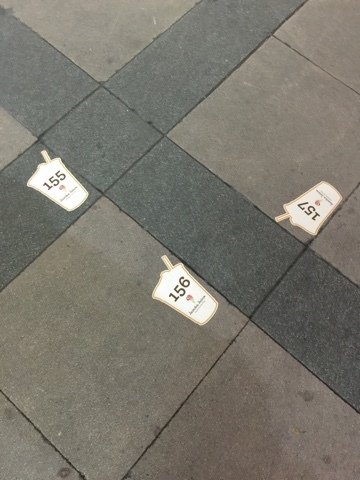 If you have time to wait in line this Friday morning at Xinyi Vieshow, it's gonna happen in an hour or two. lol! 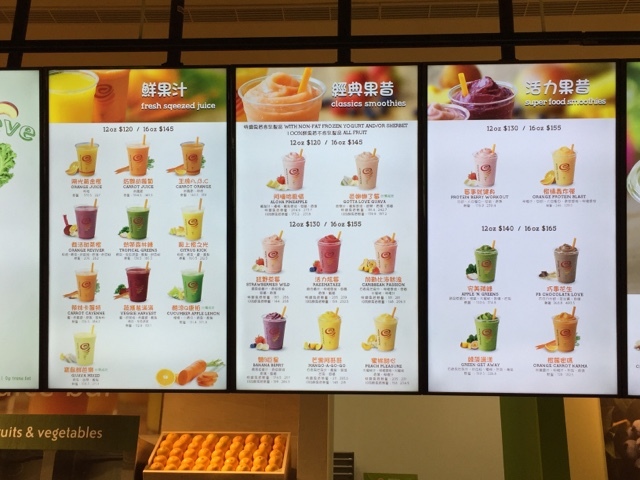 I'll definitely be giving it a try, but I'm curious to see if Taiwanese girls will drink cold smoothies through the winter when often times they drink warm water and won't touch ice water. 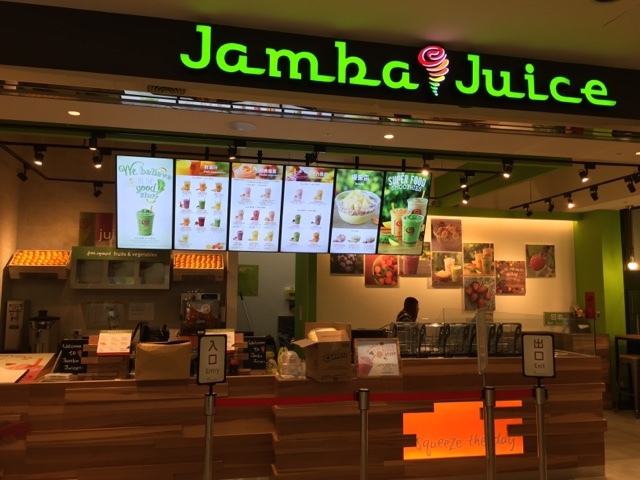 Who else has been craving Jamba? 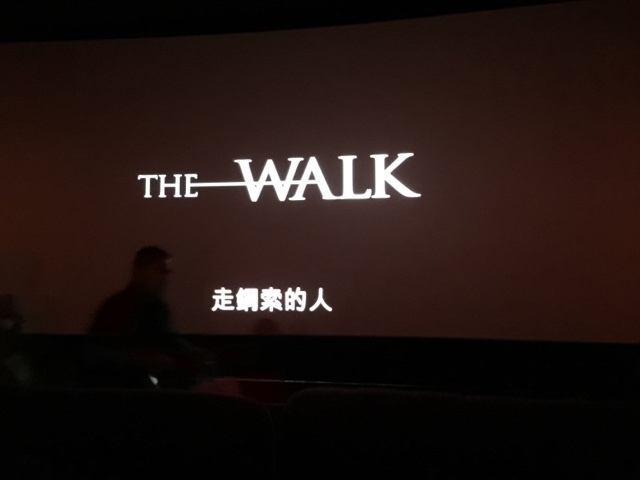 After my screening of THE WALK last night, I spotted them setting up the event and numbered line up. 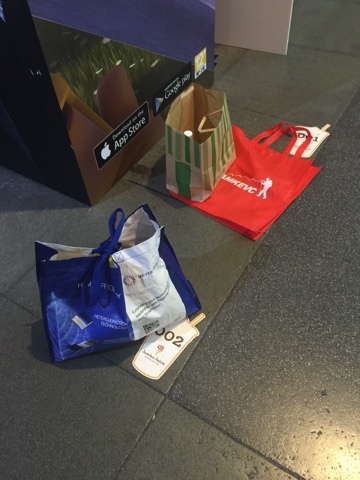 Do you think they would notice if I moved this? Haha! 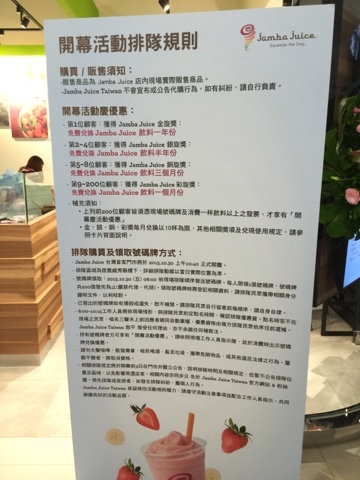 Great point re whether Taiwanese girls will drink this in wintertime but for me the larger issue is just how damned sweet Jamba Juice is. Unless they rework the formula and make the drinks less sweet, I don't think this will be long for the world. 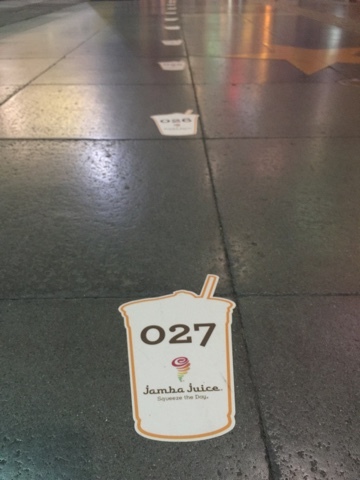 If you're jonesing for Jamba just go to Boost at Main Station, there are never queues and their drinks are actually good. 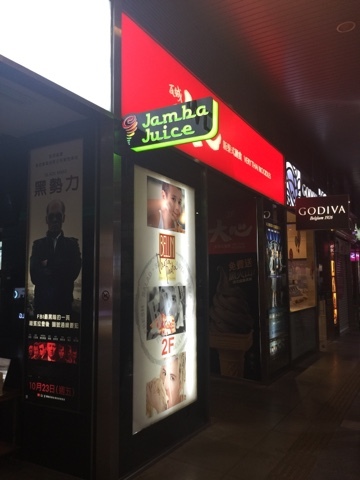 The owner of Jamba Juice got this ideal from Taiwan began with. Now huge corp. Seems like there are more and more people drinking juice around the world. 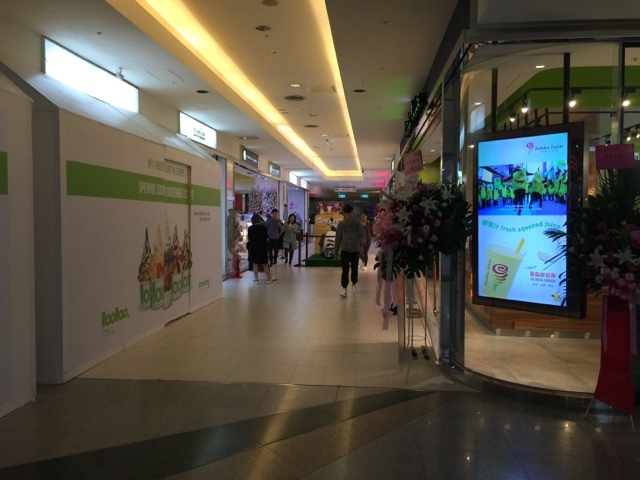 We have a lot of higher-end juice store opening up in Singapore too. Boost is one of them. This is really tremendous that the way you desceibe. This information is so much more than I needed!